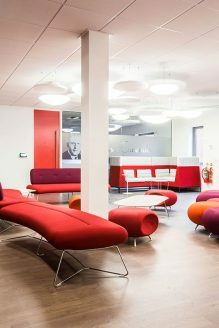 Interiors including design, build and supply of furniture. 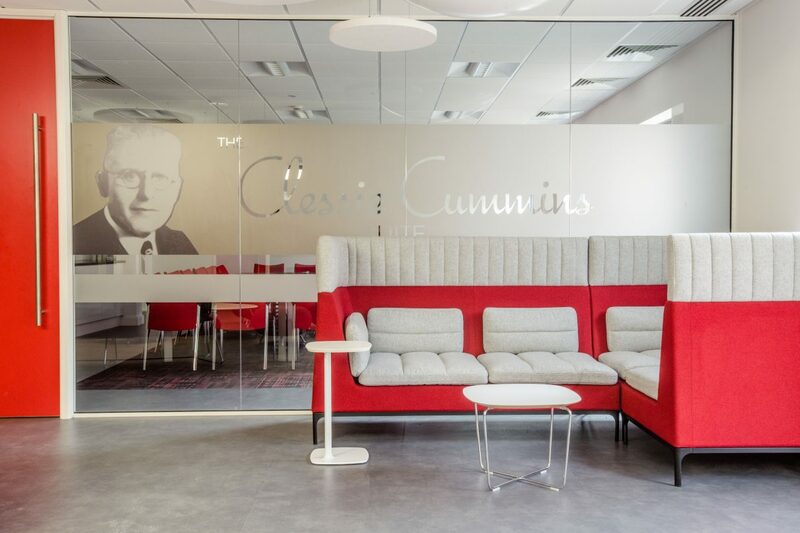 Cummins Generator Technologies wanted to move into a new flagship, European headquarters, moving from their existing premises in Stamford to new offices in Peterborough. 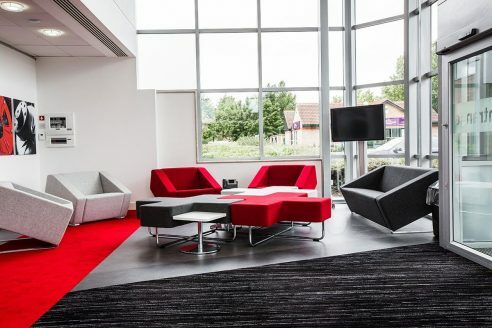 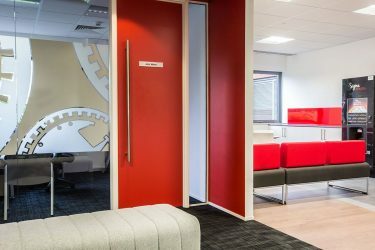 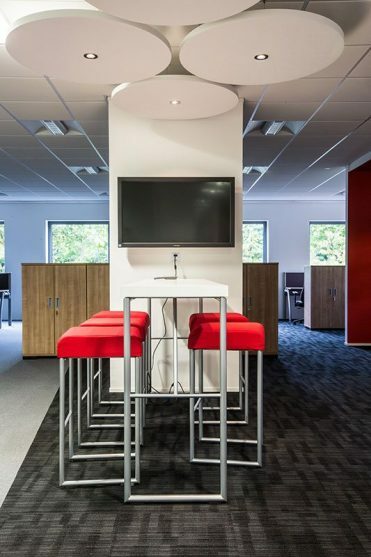 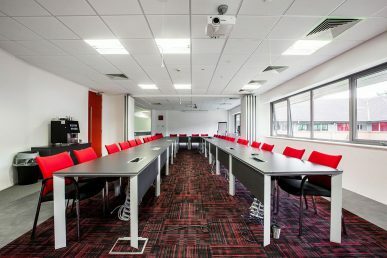 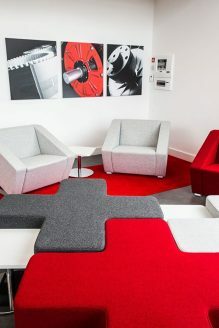 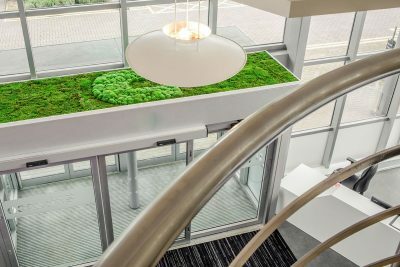 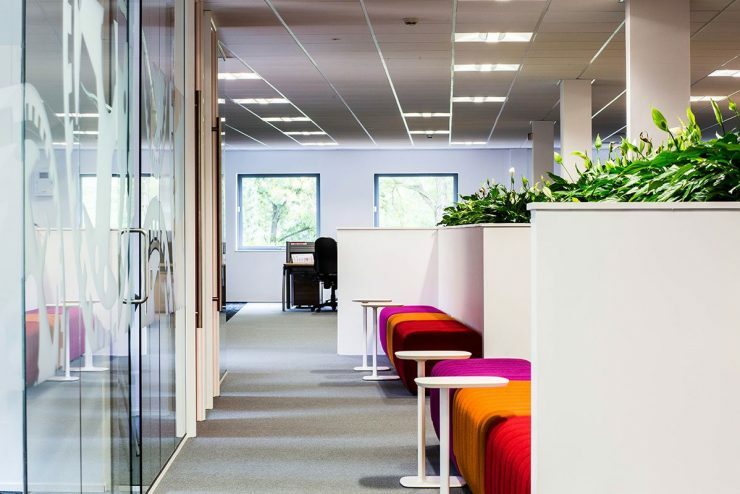 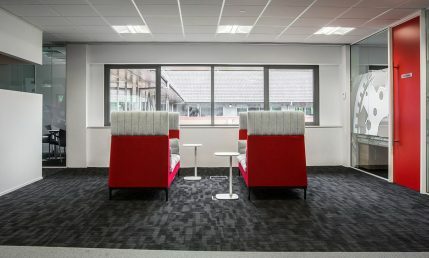 Where they were used to working in cellular offices, they were looking for a more open plan approach, including a general seating area, meeting room facilities, collaborative areas throughout the building, as well as a restaurant and an executive floor. 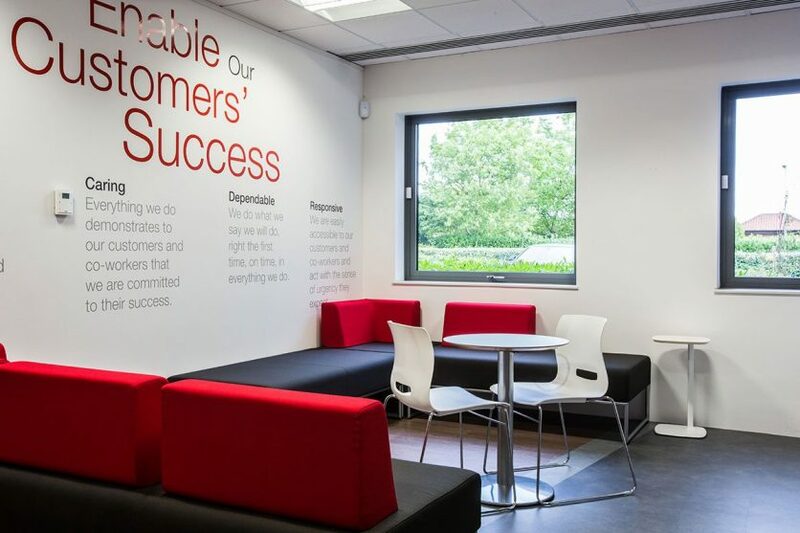 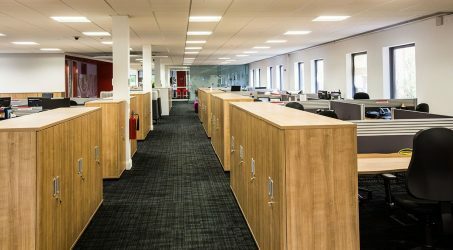 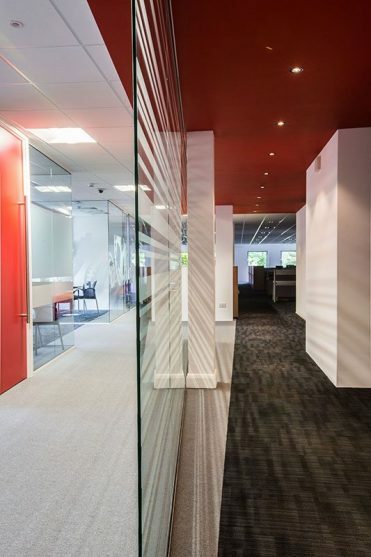 The existing fit-out of the new premises did not meet the client’s requirements and a lot of remedial work was needed before work on the new lay out could begin. 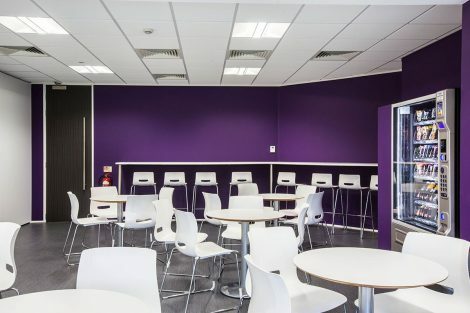 Windows and ceilings needed replacing as well as services such as toilets and the kitchen areas. 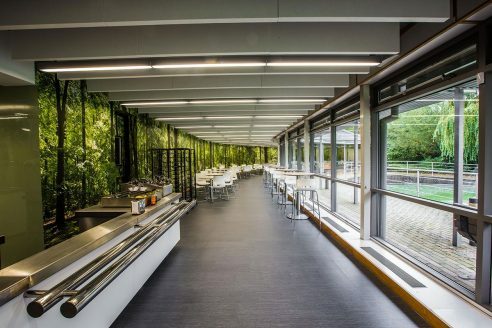 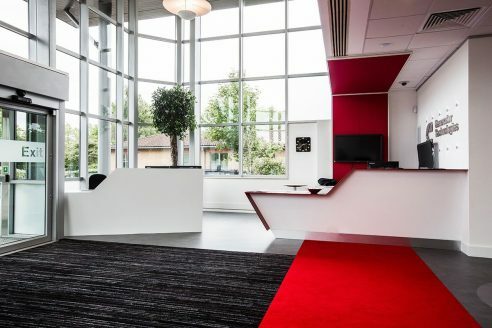 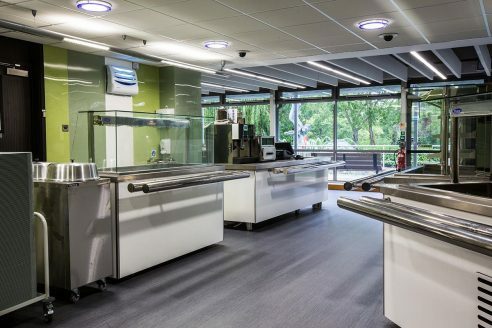 It became apparent, quite quickly, that the building was not to the standard the client had believed so the scope of the existing project had to be expanded and, what started as a £400k fit-out, become a £1million project. 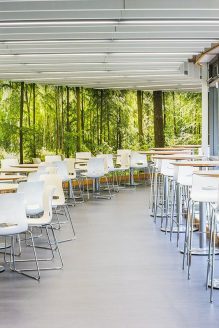 Cummins found working with the landlord’s workforce, prior to acquiring the building, was also problematic delaying the project by six months. 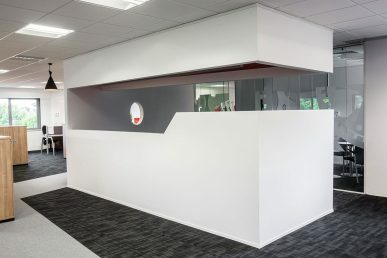 InteriorsTeam project managed the fit-out in its entirety. 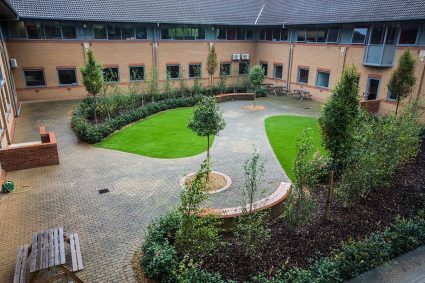 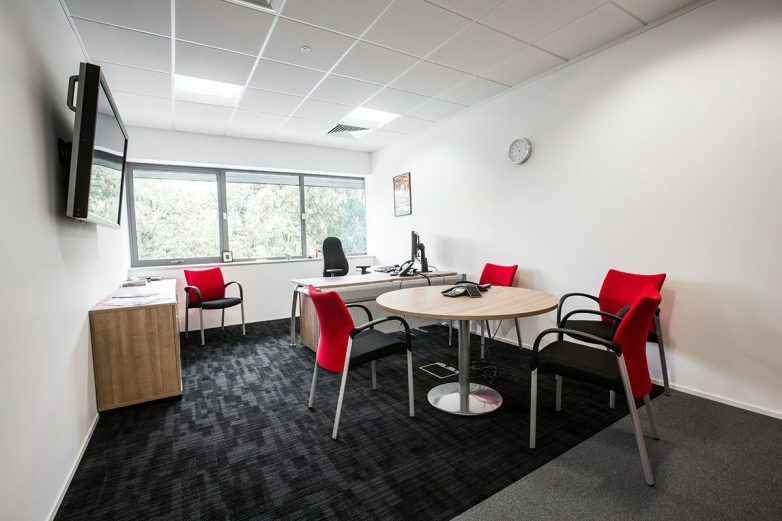 They helped with the landlord negotiations at the beginning and ensured the project was delivered to the agreed timescales. 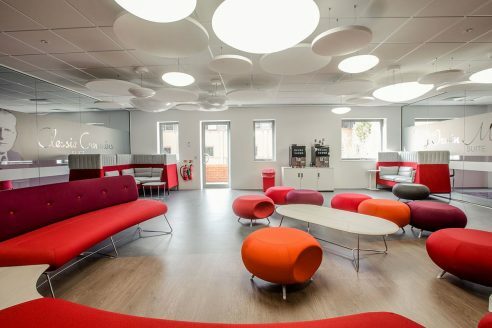 As the main contractor for the project, InteriorsTeam provided an end-to-end solution incorporating a large degree of design and build. 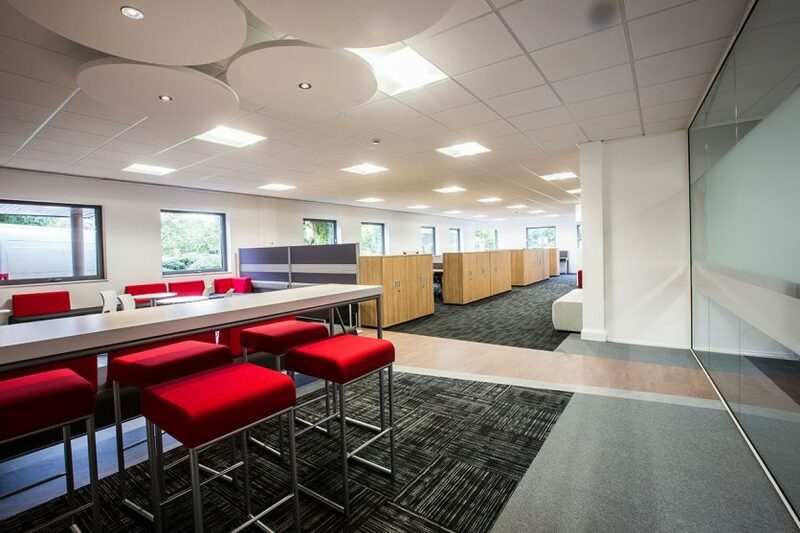 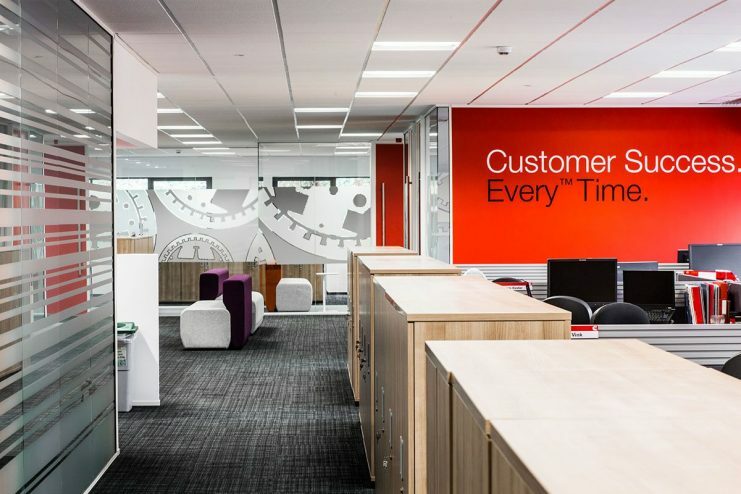 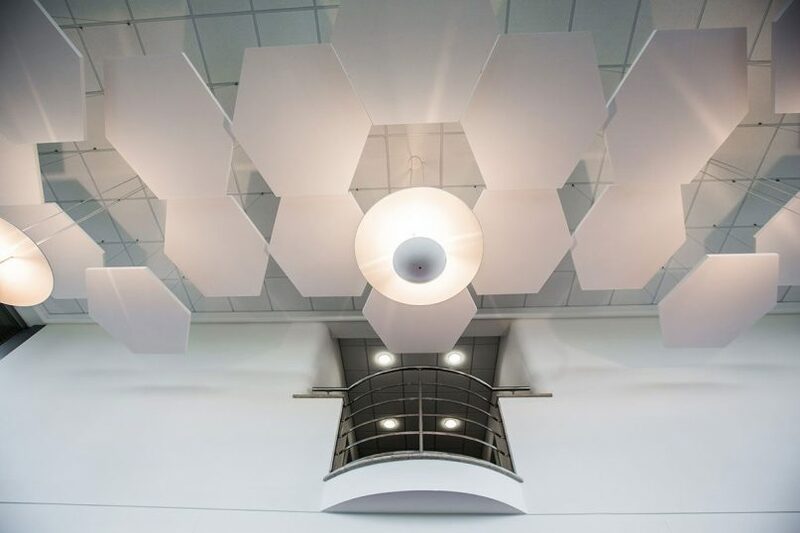 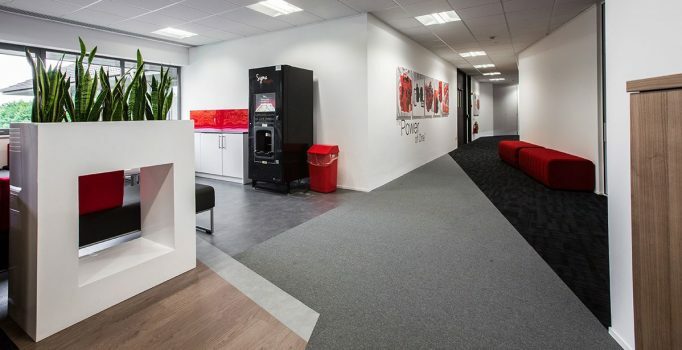 InteriorsTeam undertook the supply and installation of the ceilings, flooring, partitioning, special joinery, lighting solutions and working with the M&E and HVAC contractors. 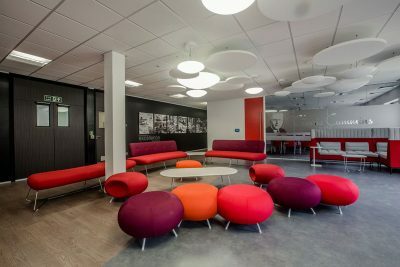 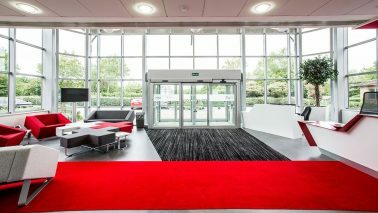 InteriorsTeam specified, supplied and installed all furniture for the project. 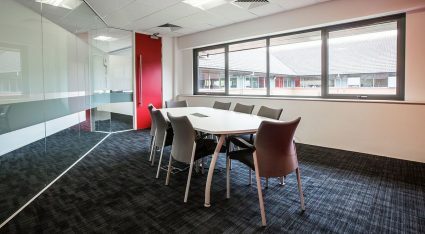 We sourced the furniture from Senator Group using their S21 Intrigue desk System, S21 Trilippse conference seating range, Chameleon Meeting tables, Allermuir Haven and Haven bench soft seating, Pebble stools, Pause sofas, Obelisk reception seating, Torasen Orthopaedicia Operators’ chairs and Allermuir A47 tables with Casper bistro seating. 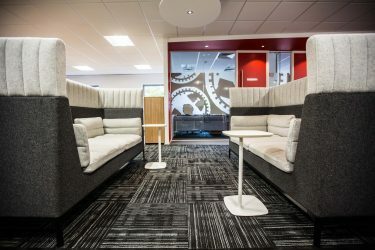 Who is Cummins Generator Technologies? 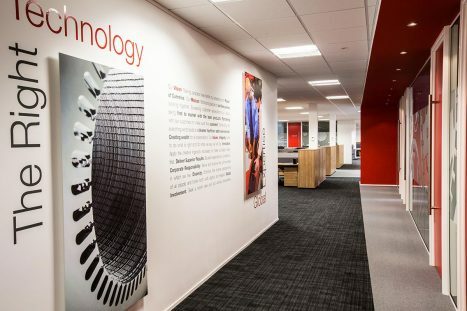 Founded in 1904, Cummins Generator Technologies (formerly Newage AVK) has over one hundred years of experience in building electrical machines at its main manufacturing site in Stamford. 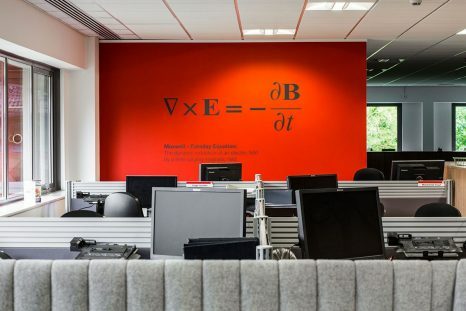 They manufacture the world’s broadest range of ac generators under the MARKON®, STAMFORD® and AvK® product brands. 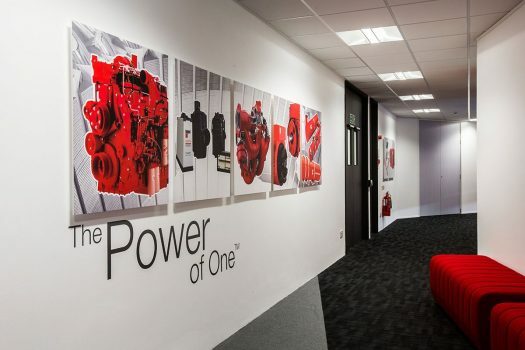 As industry leaders, they use their experience gathered from a large and diverse number of applications of synchronous generator installations worldwide to provide expertise in offering integrated design solutions that help customers compete more successfully throughout the world. 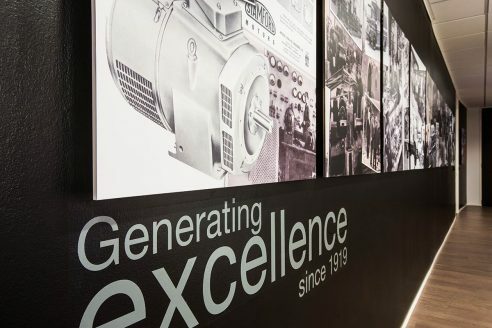 Internationally renowned for built-in quality, their ac generators set the standard for ruggedness, reliability and versatility and are part of a Fortune 500 company, Cummins Inc, with 4000 staff worldwide.